Home Therapies Does Acupuncture Really Work? There are several arguments against acupuncture being an effective healing technique, perhaps the most powerful, if it is true, being that the Chinese don’t use it much anymore. They prefer modern medicine to acupuncture or even to TCM (Traditional Chinese Medicine) . Although this claim is made from a skeptical website, acupuncture is not part of TCM, and the Chinese gave up acupuncture once modern medicinal techniques were introduced to them. Traditional Chinese Medicine was reintroduced by Mao Zedong (Mao Tse Tung), although he admitted not to using it himself, preferring instead modern medical science. Nevertheless, that does not infer that acupuncture does not work. However, the concept of the universal life force or energy known as ‘Qi’ is metaphysical and there is no evidence of its existence . It cannot be measured, and therefore the concept is irrelevant to medicine. The only way in which the question ‘does acupuncture really work‘ can be answered is by results. Are those treated with acupuncture genuinely cured of their malady or is it no more than a placebo effect: they believe it will help them so it does, only to return a few days or even hours later? Skeptics state that the concept of Qi was never mentioned by missionaries returning from China and neither were the needles inserted into specific meridians. It is claimed that these are modern concepts designed to make the technique more interesting and acceptable to Europeans. The concepts are claimed to have been introduced by Georges Soulié de Morant, in his book L’Acupuncture Chinoise published in 1939. Prior to that, needles were claimed to be inserted at the site of the problem – if you know better then you can debunk this theory, but nobody has taken De Morant up on this as yet. Perhaps that is because his claims are true. Who knows? There are many more arguments against the effectiveness of acupuncture , so does acupuncture really work? Here are the arguments in favor, and then you can decide. It has been the opinion of several reviews on the subject that there is little evidence of acupuncture being effective in alleviating pain. Acupuncture has been found of use in alleviating chronic back pain . Acupuncture carried out on patients with neck pain offers short-term benefits . The use of acupuncture to treat osteoarthritis has had mixed results, negative  and positive, although the consensus is that acupuncture is likely useful in treating osteoarthritis of the knee. Does acupuncture really work? You can judge for yourself from the results above. However, before you do make your mind up on the benefits or otherwise of acupuncture, there is a lot more to consider than just the published evidence, since there is a great deal of anecdotal evidence of the benefits of the technique. For example, consider why it has become as popular as it has. Is it genuinely possible for a quack technique, that acupuncture is claimed by many to be, to have gained such worldwide popularity if it didn’t work? Is it possible that just the fact that it is a Chinese technique is sufficient to overcome a litany of failure in its use – surely some people would have complained louder than they have had they paid good money for a treatment that had no effect? Is it also possible that all positive effects have been placebo effects: you believed it would work so it did work? Surely many skeptics have undergone acupuncture and have been surprised at the result? It is not as if this method of treating a wide variety of medical conditions is new – it isn’t and has been used by millions without a mass complaint against its effectiveness. These are not very scientific arguments, but when added to the scientific proof so far recorded, and the largely anecdotal failures, it is highly likely that acupuncture is effective for many of the conditions it has been used to treat. Perhaps the results have not been permanent ones, but they have been positive results nevertheless. The probability lies on the side of the technique working as a genuine means of relieving specific conditions but not all, although it is also likely that a number of the positive results have been psychological rather than medical. You have to keep in mind that the regular medical community will not go out of their way to stamp their approval on a technique that may threaten their own medicine, and that the large pharmaceutical companies will do all they can to prevent a metaphysical treatment taking a good slice of their sales, and hence their profits. Nevertheless, it is our consensus that acupuncture really works – perhaps not for every condition it is used for, but at least for some. So, does acupuncture really work – yes it does, but with the reservation that you should research its use on your condition before you part with any of your own cash. 2. Goddard B (2008). “The Truth about Acupuncture”. In Singh S, Ernst E. Trick or Treatment: The Undeniable Facts about Alternative Medicine. pp. 39–90. 3. Wallace I. Sampson (March 2005). “Critique of the NIH Consensus Conference on Acupuncture“. Acuwatch. 4. Ernst, E.; Pittler, MH; Wider, B; Boddy, K (2007). “Acupuncture: its evidence-base is changing.”. The American Journal of Chinese Medicine 35 (1): 21–5. 5. Ernst, E.; Lee, Myeong Soo; Choi, Tae-Young (2011). “Acupuncture: Does it alleviate pain and are there serious risks? A review of reviews“. PAIN 152 (4): 755–764. 6. “The effect of dietary protein restriction on the progression of diabetic nephropathy. A 12-month follow-up“. Archives of Internal Medicine 147: 492–504. 7. a b O’Connell, NE; Wand, BM; Goldacre, B (2009). “Interpretive bias in acupuncture research? : A case study.”. Evaluation & the health professions 32 (4): 393–409. 8. Trinh K, Graham N, Gross A, Goldsmith C, Wang E, Cameron I, Kay T (2007). 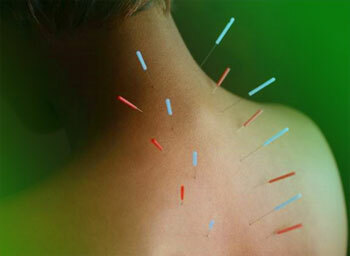 “Acupuncture for neck disorders“. Spine 32 (2): 236–43.